Sun Control Blind bring out the beauty and vibrancy of sunlight. 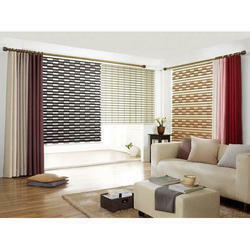 These blinds act as shield and block all harmful radiations such as UV rays. Whatever passes through them is soft, magical light that will enhance the beauty of your room. This helps in providing complete privacy, precise light control as well as energy savings.